Gluten is a protein found in certain grains like wheat, barely and rye. People with celiac disease or gluten sensitivity have to be careful to avoid all gluten in foods, especially those with "hidden" gluten. It is easy to find foods containing wheat by reading ingredients labels; however, many additives in processed foods may contain gluten from sources other than wheat. Natural aged cheeses made from real milk are usually gluten-free; however, some processed cheeses may contain gluten. American cheese is generally gluten-free, according to the Jackson Siegelbaum Gastroenterology website. Still, you should always check the ingredients label of the particular cheese you are purchasing. 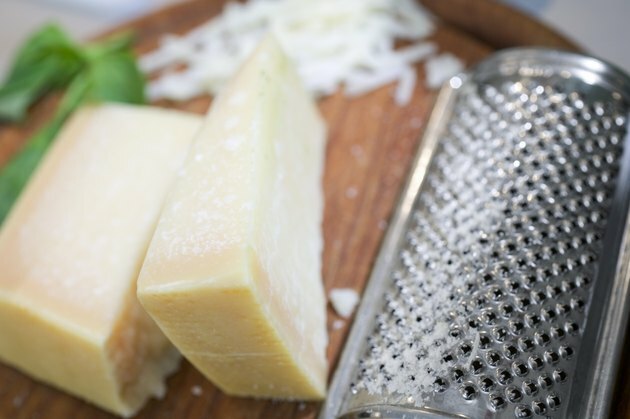 Avoid cheeses with vegetable gum or food starch, which are likely to contain gluten. Also, check the label for preservatives that are not defined as a gluten-free sources. If you are unsure whether a product contains gluten, check the manufacturer's website for additional information.